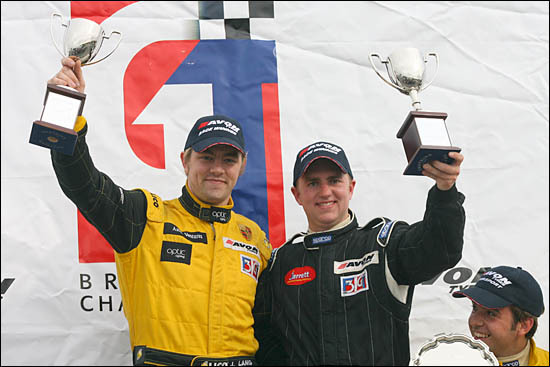 It’s been quite a fortnight for or so for Jonny Lang: on October 27 he (almost) discovered that he was the 2006 Avon Tyres British GT Cup Champion, with Matt Allison, while 16 days later, he and Martin Rich scored the maiden European win for Damax’s Ascari KZ1s, with the GTS Class win in the 130 minute International GT Open finale at Barcelona. 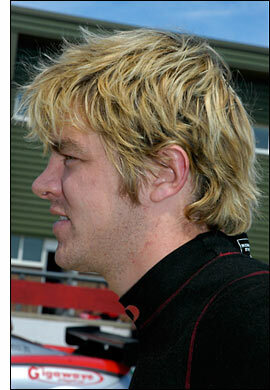 Almost discovered he was a British GT Champion? You can just about pick out the Ascari, behind the distinctive SEAT - with the yellow Lamborghini to the drivers' left of these two, in the middle of the track. Or is that the Ascari behind the yellow Gallardo? Combined qualifying had seen Lang and Martin Rich just miss out on the class pole, to the Mik Corse Lamborghini Gallardo, but Lang was fastest in his session, and was thoroughly enjoying his first experience of the Ascari. That was early on in the race – and conveniently, the oil came from the Lamborghini’s blown engine, the Italian car leading at the time. “The Lamborghini scarpered off into the distance until just before the safety car period – to clean up its oil. James Ruffier had squeezed past me at the start in one of the Vipers, but I stayed right on his tail until our first driver change, at 30 minutes. The team had been a little concerned about the tyres if I pushed hard early on, so I was quite content to follow the Viper. 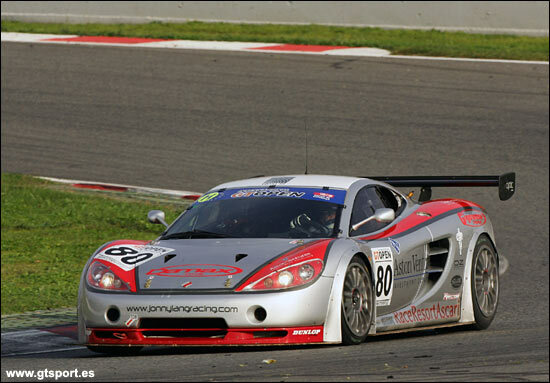 Clearly, the Ascari, and the Damax team, made a big impression on this man, new to GT racing at the start of the season. 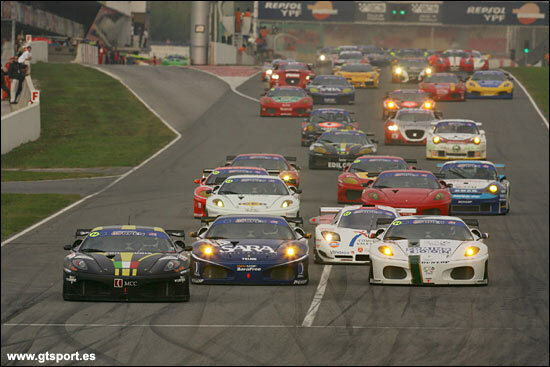 Last task for 2006 – actually early in 2007 – will be a ‘knees-up’ to celebrate the Trackspeed success in 2006. By then, we should have a good idea of where this GT racer is going next year.